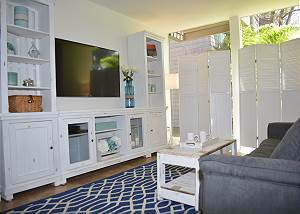 Welcome to Del Mar Vacation Rentals, your trusted source for the best vacation homes and condos in and around San Diego and Del Mar. Del Mar is a quaint village on the north coast of San Diego. It is famous for it’s exquisite beaches, upscale shopping, sumptuous dining, world famous Torrey Pines Golf Course, the San Diego County Fair, and the most popular Del Mar Horse Races. “Where the Surf Meets the Turf”…The racetrack is filled with history! Walk down to the beach for a stroll or a day in the water. Whether it is building sandcastles, boogie boarding, surfing, kite surfing, paddle boarding, or just relaxing and watching the sunset, you will be thoroughly pleased with our beaches. In addition, Del Mar is centrally located in San Diego County. Attractions such as the San Diego Zoo, Safari Park, Sea World San Diego, downtown San Diego waterfront, Padre and Charger Stadiums, Legoland, and even Disneyland are all easily accessible from our location. We’re the ideal spot for your next vacation. 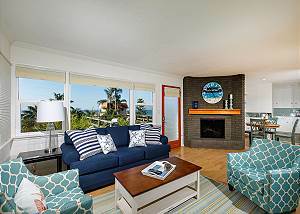 Our beautiful accommodations are located in the charming beach towns of Del Mar, Solana Beach, Encinitas and Carlsbad. Our properties are furnished, all have fully equipped kitchens and most have BBQ’s for your entertainment needs. Oceanfront pools, hot tubs, and tennis are included in most of the properties as well. As our guest, you can have confidence in a carefree and relaxing vacation. 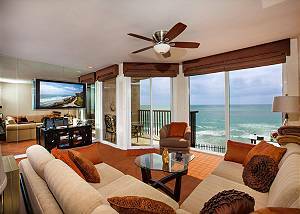 We have been in business for over 35 years, and provide the highest quality of service From our fully furnished oceanfront homes to our condos on the beach bluffs, you can rest assured you and your family will enjoy your vacation to the fullest. You can start with an online search of our properties. When you see the one you like, simply reserve online or contact one of our friendly, knowledgeable reservation agents at 1-800-378-8221. We can assist you in finding the perfect accommodations for your next vacation.